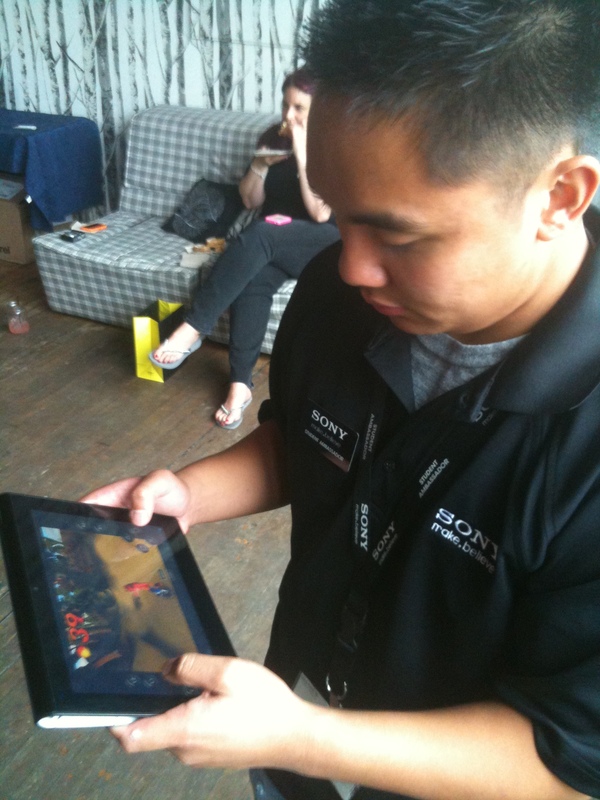 Sports Techie rsvp’d to the Sony Catch the Tablet Seattle event where everyone who attended was a definite winner. 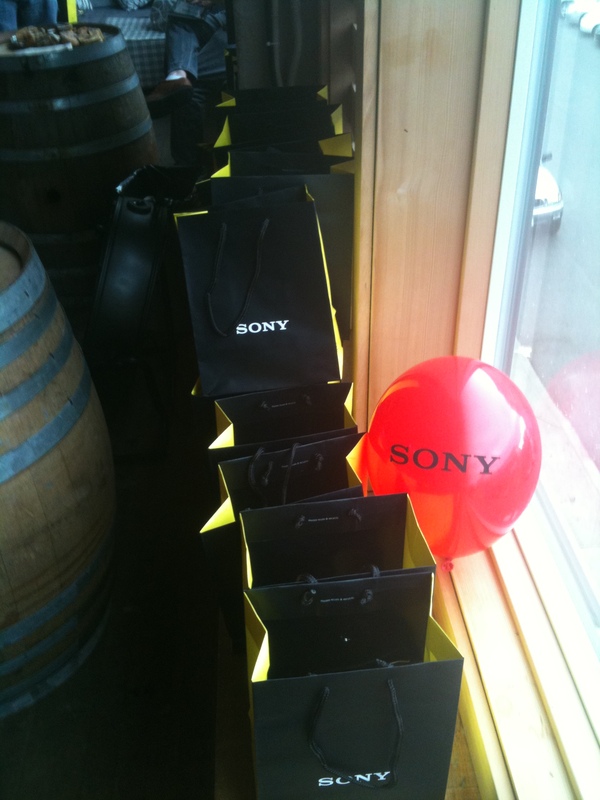 The Sony Electronics tour had previous fan meetups in New York, Miami and San Francisco. 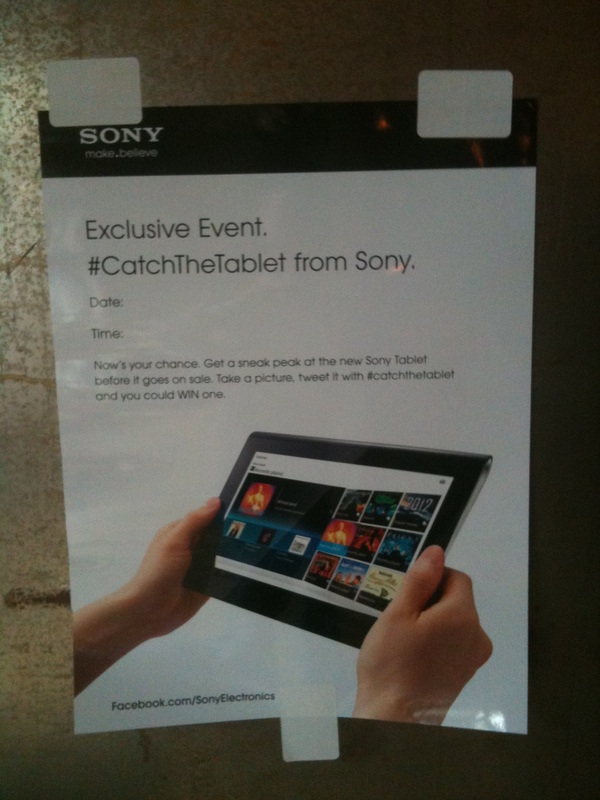 Sony decided to award one extra lucky city in the US a chance to be the last stop of the Tablet tour. 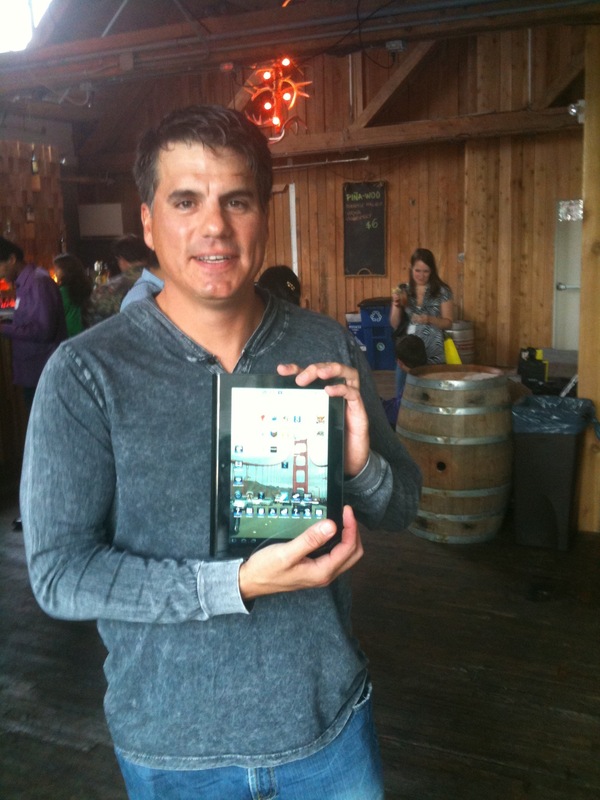 A total of six Tablets prizes were being given away, three online, and three more to some lucky Seattle area locals. Sukhjit used Twitter and the hashtag #CatchTheTable to reach out to their fans and explain how they could win free swag by engaging via this innovative online marketing promotion. 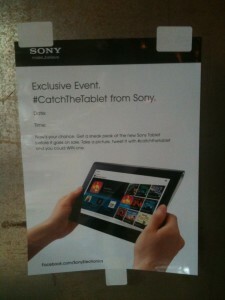 Facebook was also used by Sony to create even more Catch The Tablet buzz. http://www.facebook.com/sonyelectronics. You can dig down deeper into its specs, hardware, and learn more about the Sony Tablet S Series via this CNET review. http://reviews.cnet.com/tablets/sony-tablet-s-16gb/4505-3126_7-34847717.html?tag=mncol%3Blst%3B1#reviewPage1. According to CNET, the Tablet has PlayStation certification for mobile gaming which is nice cross-product integration by Sony Electronics. It runs emulator software allowing users to play select PS One and PSP game titles. The Tablet S comes preloaded with PS One hit Crash Bandicoot and Pinball Heroes. The IR universal remote control app has big upside for an active Sports Techie because it can control all your home electronics. By integrating the Tablet with other Sony Electronics products, you can remotely control them all with the IR blaster. The Tablet S comes with a 9.4-inch screen rather than the near standard 10.1-inch panel Honeycomb tablet. Sony also used its TruBlack technology from their Bravia TV line to upgrade the screen contrast and give it some sizzle. It also comes preinstalled with Google’s full Android 3.1 such as Gmail, Google Talk (with video chat) and more inside this powerful gadget. Access to Sony’s Video Unlimited service is another perk. CNET explains that the SD card reader functions just for media transfer and isn’t meant to act as a memory expansion port. Keep this in mind, Sports Techie, when saving your larger video collections. I liked the look and feel of the Tablet when I played around with it. It fit easily in my hands, the touch screen was a snap to master, and the system had useful software apps. The Tablet graphics rendered super fast and the screen was mellow enough on the eyes for the short time I used it. The ESPN SportsCenter app to Sony connected “smart” TVs through the Yahoo Connected TV platform was just released today. Wish I could have seen that! http://frontrow.espn.go.com/2011/09/espn-sony-team-on-scorecenter-app/. I asked Sukhjit if we could download Madden 12 and play some NFL football but at a busy social event like this, that kind of last minute request is hard to pull off. The Tablet S is priced at $499 for the 16GB and $599 for the 32GB. If you can afford it, the extra 16GB of computer hard drive space for another $100 is worth the upgrade. I appreciated the opportunity to interact with another new Sony gadget, while getting to know their Social Media team, and the loyal Sony Electronics fans, like the Seattle Tablet winners I met, Andru and Pauline. The free raffle and Sony swag give-aways, along with the good music, tasty morsels of food, and complimentary Grims Provision & Spirits, all made for a fun and high-energy Catch The Tour experience. Thank you to Sony for choosing Seattle. Your new Tablet S Series is Sports Techie worthy.